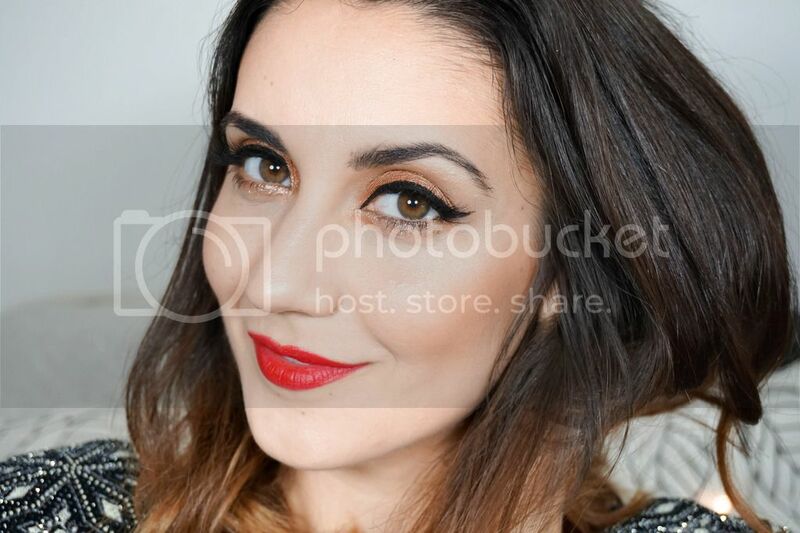 A few weeks back, it was actually the evening after the Bloggers Love event, I decided to pop into the KIKO store on Regent's Street on my way to the tube station. Of course it wasn't actually on my way as I easily could have gotten the tube from a closer station to where the event was held, but my justification for this purchase was that I was one of the unlucky few who didn't get a goody bag of any sort. Yup that's my reason, I think it's valid and I'm sticking to it. This was my first ever visit to a KIKO store and let's just say the experience wasn't exactly a pleasant one. First off the store on Regent's Street tries to recreate the atmosphere of a nightclub once it gets dark. No joke the lights were CR-AZY I could barely see the actual colour of the products and it was just a bit over the top. I felt like an old granny speeding over to the nearest corner where I could find some natural light and squinting for ages to see the shades of various swatches on my hand. The other part of my unpleasant experience unfortunately were the girls working there, I hate to say it but they were quite rude and showed no interest in helping me out or having any knowledge in the products. I know this was at 8pm in the evening and they were probably tired after a long's day work, but I've worked in the service industry for years and it's just not the way to treat customers. The only positive outcome from my whole experience was the girl serving me behind the till (I didn't catch her name) but she was Irish and noticed from my accent straight away that I was also from the same shores. She was friendly, chatty and really helpful as she recommended one of my purchases. Because of her I left the place with a smile on my face and will definitely return in the future. 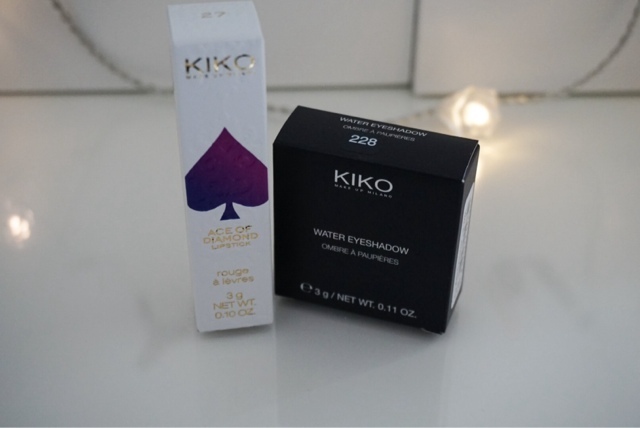 The products and the fantastic quality will also be the other reason I will continue to purchase from KIKO. 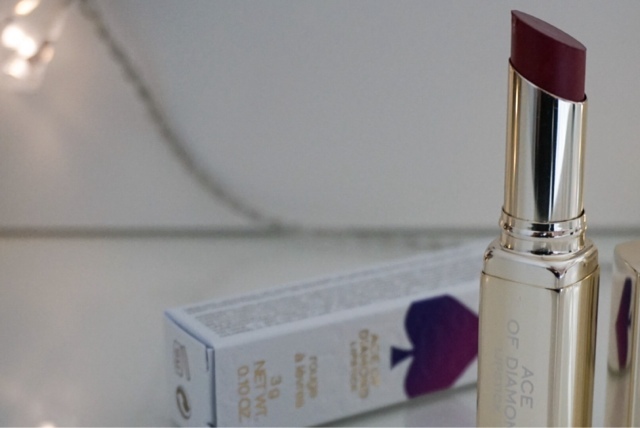 First up is this limited addition Ace of Diamonds lipstick right here which is just beautiful, can we all agree. 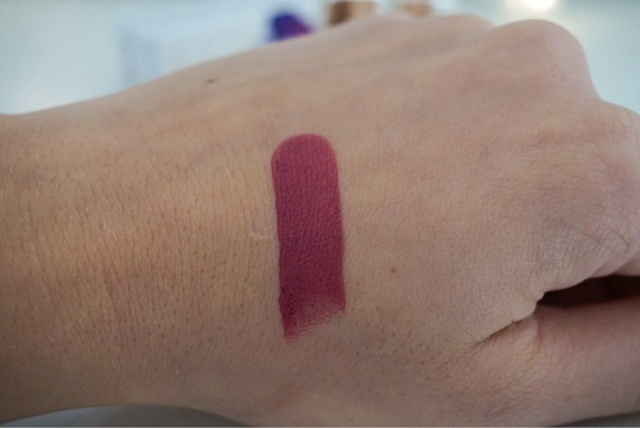 Originally I had another berry shade in my hand but it was the Irish girl who swayed me towards this one instead as she raved about their longevity (something which I long for in lipsticks). This is the shade 27 Refined Burgundy and as you can see it's a gorgeous dark berry colour, which will be perfect for the upcoming months. Now I literally have no excuses as to why I can't join the dark lip trend this year, because this lipstick screams "put me on your lips" (it really does). I have worn this twice already, hip hip hooray for me, even if one of the times was pottering around the house and the other on a grocery shop. 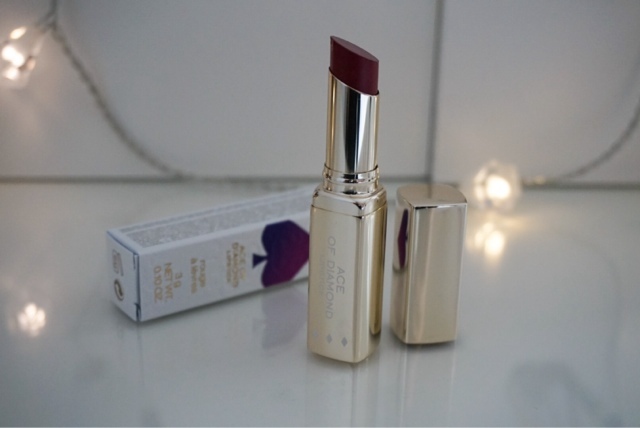 All the claims about this long lasting lipstick are bang on, as this lasted for a good 6 hours with very little fading and best of all it wasn't drying on the lips in the slightest (now this is what I call a great formula). If you can get your hands on this or any other shade from this limited edition then I would highly recommend it because you won't regret the £7.90 price tag. 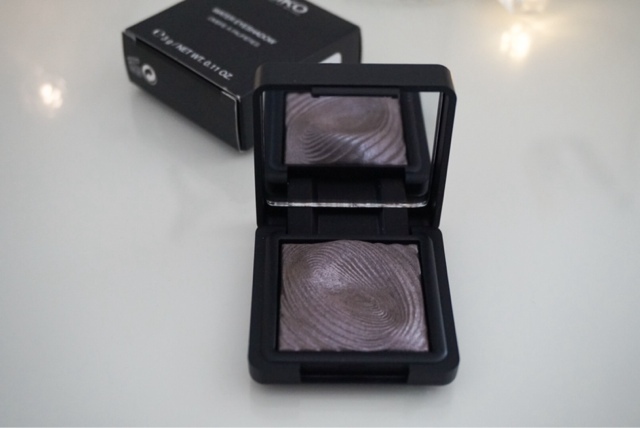 The other product I picked up is one of their gorgeous Water Eyeshadows, which just scream NARS Dual Intensity Eyeshadows to me. I don't own the NARS version so I can't comment on wether it's a dupe for it but the similarities are definitely there for all to see. I picked up shade 228 Taupe because I don't own anything like it in my collection. I don't even know how to describe this, as it's got hints of purple and grey through it, just totally unique in my opinion. 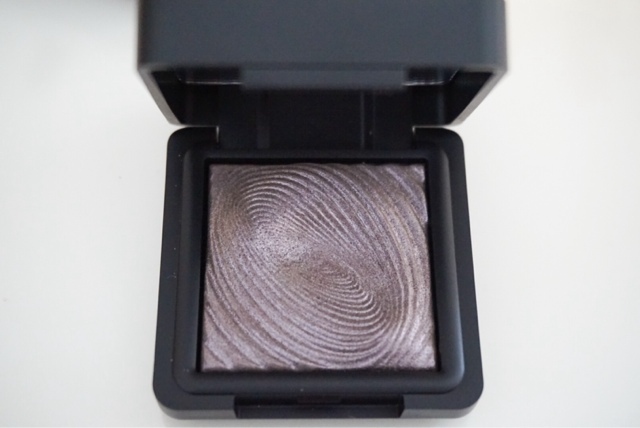 As the name suggests you can also use this wet, which I haven't tried yet but I can only imagine how amazing the pigmentation would be since it is pretty great in its dry form anyway. There's a ton of shades on offer when it comes to this product and I will definitely pick up more in the future as it's a top notch product for an affordable £5.90. 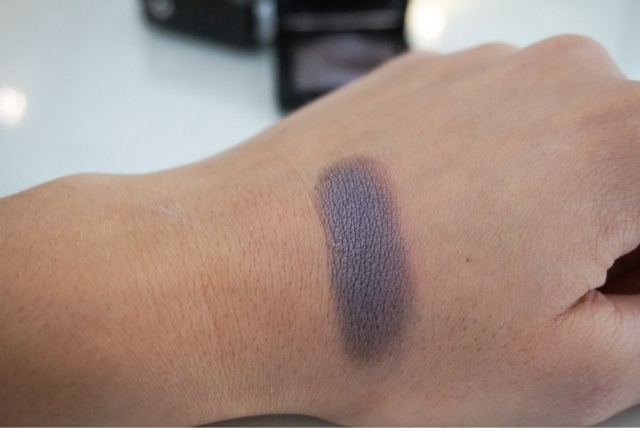 I have created a dark smokey eye with hints of purple and blue with this already, so I will try to upload that autumn look early on next week if anyone is interested. It's not your typical smokey eye but it's definitely an interesting one, which I managed to create as I went along.